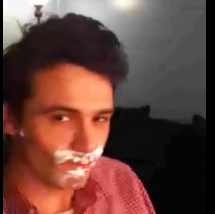 James Franco being shaved during an inspired folksy singalong. Oh, and some fist-pumping and spirit fingers toward the end. TGIF, y’all.